In the fast-paced world, everyone finds the source of entertainment to relax from the busy working routine. Android Power Hub is reviewing Golf Clash for the Golf lovers so that users can enjoy with the ease of mobile phone. Golf Clash game is one of the simulation game introduced by Playdemic. Golf Clash multiplayer game allows players to have real time fun. It allows you to play with your Facebook friends or players from all over the world. So if you want to stay prepared for the Golf Clash game then Android Power Hub provides best strategies, and Golf Clash tips to be listed among the top players. Want to enjoy the perfect mashup of competitiveness in Golf game? Golf Clash lets you have shockingly. Best experience from hidden chests to rare balls. 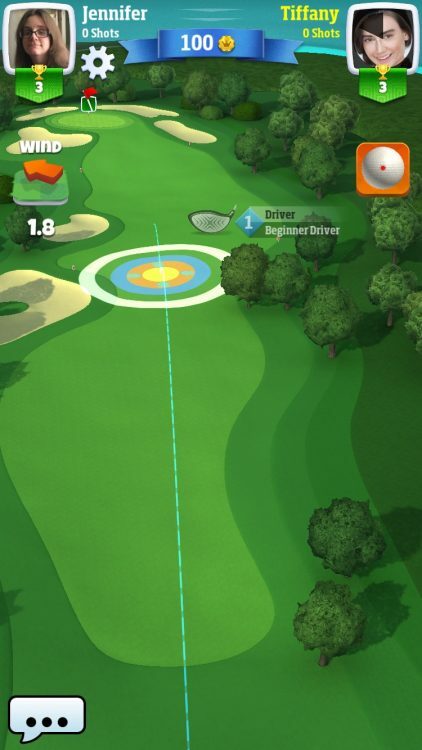 Following are the features of the Golf Clash game app. Master the game with the revolutionary system that allows you to make shot easily. You will master the skills with time and can share as well watch replays of your shots. Being a regular player helps you to climb the ranks. Progressing to more advanced levels would be easy. 1 vs. 1 gameplay is available anytime with the internet connectivity. Hundreds of players are available online for the challenging game. So enter the Golf Clash tournaments game for the high ranking play. You can unlock various chests and discover the premium balls and clubs. Have the best experience with the various weather conditions, challenging courses, mid-swing, chat as well as emoji’s during the play. Before taking the shot just do not get afraid to move the target away. Timing is the best thing to take care of in Golf Clash. The new players mostly pull back as much as they want. So remember that too much power would be bad during the game. 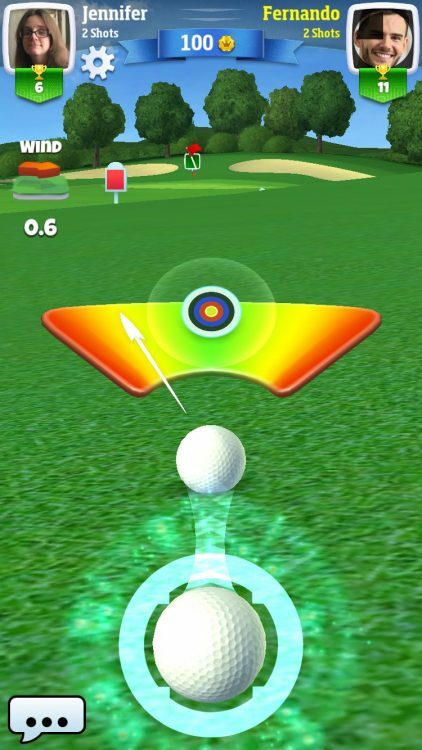 For the perfect shot in Golf, Clash make sure to look at target circle. If all lines are matching up and circle is perfect, then it would be the best shot. As soon as you are ready to take the shot, just release the finger as the arrow hits the PERFECT line. How to put the ball? Putting the ball will be a little bit tricky. Make sure to line up with the ghost line to make a shot. Avoid overshooting. It is best to correct things when the game warns about too much power. Upgrading all the playing assets would be beneficial. There are more chances to win when Golf Clash for Android assets will be upgraded. 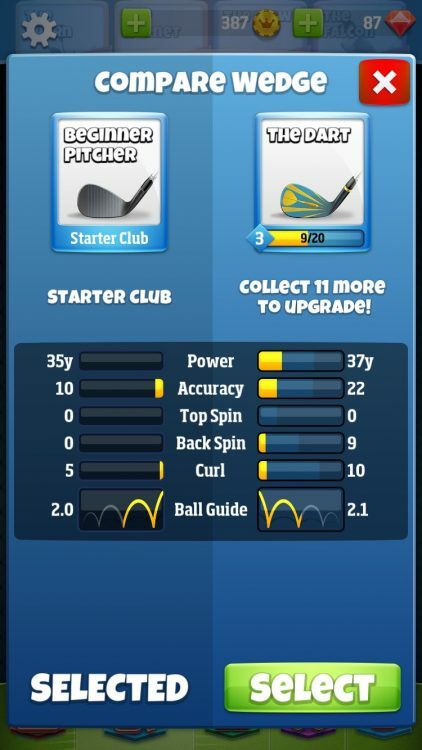 So it is best to unlock the chests, earn tickets, perform the upgrade and equip with new clubs. The mentioned above tricks provided by Android Power Hub are legal. They help the player to play well if they are playing it for the first time. It is best to follow the strategy in the game. Being a player you can have innumerable resources to have unlimited fun otherwise you can try out the hacks to earn unlimited gems or cash in the game. The Editors Choice app, Golf Clash will not disappoint you. Golf Clash game app is really exciting. All you need is to practice harder and keep trying to learn the basics. Golf clash download free link is available here. Enjoy the Golf Clash app free download on Android devices. Very enjoyable game. Can be surprisingly difficult to play at times. But provides hours of fun. Fun and easy to connect with friends. Upgrade system is well constructed. Simply open the Golf Clash app and select your profile picture which appears at the top of the main menu screen. You will then see an edit icon next to your current name. Selecting this icon will allow you to input your new name. Once you have entered your name, hit “Confirm” to submit your new name. Best for Parties: Party Golf. 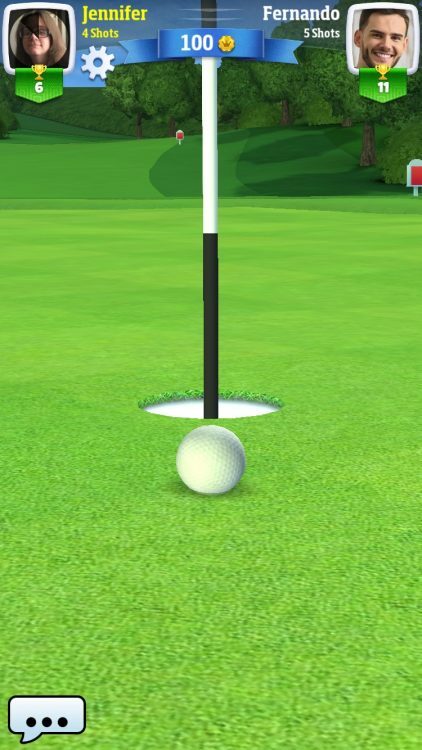 Golf Clash Cheat: How to cheat Coins and Gems in Golf Clash? Golf Clash is an arcade-style multiplayer golf sport.